We are excited to announce that the 500,000 piece model of the USS Missouri will be one of the LEGO displays at Brickworld Tampa this November. 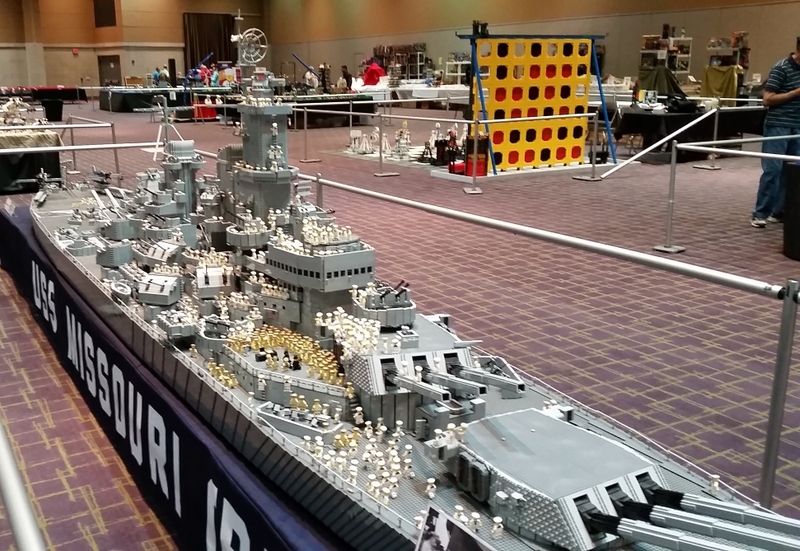 The Missouri will be on display along with the 250,000 piece Super Robo Rally game, a 95 foot by 42 foot train & city layout created by the Greater Florida LEGO User Group, and many more displays. Of course, no Brickworld event would be complete without a version of the Great Ball Contraption, play areas, and robots to drive. Don’t miss the fun! Buy your tickets before November 1 using coupon code BWTFB16 and save $2/ticket for the premier LEGO fan exposition in North America. Coming to Tampa on November 19 & 20, 2016 at the Florida State Fairgrounds. Check out the Facebook event and share it with your friends!